Wally texts me: "Riders past heading to 80th. We are east of Kilduff"
I reply, "Got it. I'm at CP1". The leaders were not quite as fast coming into the checkpoint as I imagined they might be. The B Road which was rideable was not the reason, but I wasn't sure what was. Maybe these guys up front were taking a more measured pace than in years past. I know that when I saw them go by me they weren't really pushing it too hard. That was a wise decision as it would turn out! The breezy weather was still holding as I was standing around at Checkpoint #1, and the Sun was shining brightly. Time for me to hit the road as everything looked set to go with the volunteers at the checkpoint. My main objectives were to check out the nearly two miles of end to end B Maintenance roads and to mark a known unsigned corner a little way beyond there. The B Road I ended up skipping as I felt it was likely dry as a bone anyway and I had looked at it Friday. So, I devised a route around the B Roads and tried to find my crossing of a highway to continue on the course. I felt as if I was lost again, but then I realized that the route dipped into Mahaska County a bit at this point, the Southernmost point of this year's Trans Iowa route. I finally found the turn I wanted and crossed an old gabled iron bridge. I love finding those on routes as they are also fast disappearing like the barns are. I passed on into some wilder, low lying lands and found my corner to mark, but not before I found a proud rooster pheasant strutting alongside the ditch. He took no notice of my truck as I rolled on by. The corner was down in a quiet nook of a valley, but as I looked upward, it was evident that the wind had increased a bit. Probably due to the warming of the air by the Sun. No big deal. There were many such hills on the way to North English. I was still rolling toward the first convenience store on the route past Checkpoint #1 in North English Iowa, a well stocked Casey's. While I had the second granola bar Coop gave me in the morning, I was getting pretty hungry again, and I figured that convenience store to be the first stop for the leaders coming through. 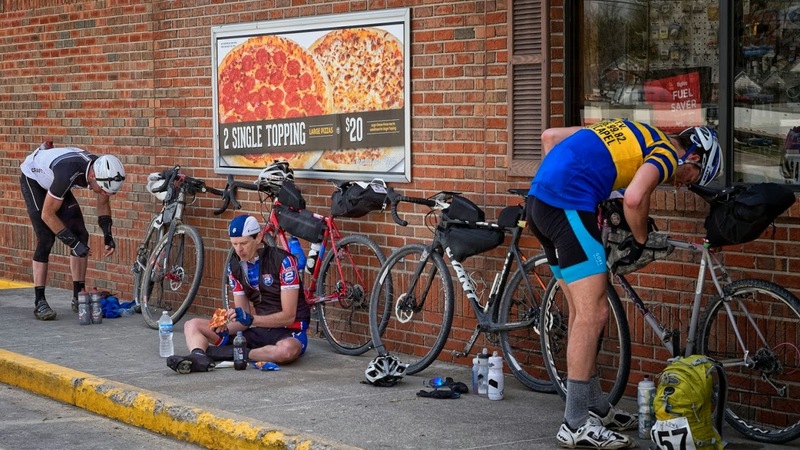 So, I pulled in and grabbed some grub, ate it, and hung out on the Northwest corner of the store keeping an eye on the corner where the riders would dump out onto the road leading into Casey's. My vehicle was parked on the East end of the building, out of the way as I could get it so as not to anger any of the locals or the employees. I waited there for quite awhile, drawing the attention of some of the employees, as they came out to toss garbage or smoke a cigarette. (People still do THAT?!! ) I finally thought of something I wanted from the truck when I saw Wally and George's rig blocking me in! They must have been inside looking for me, and sure enough, there they were. Not long after, the pack of five now whittled down to three came rolling into the store for resupply. I snapped off a few images and bade Wally and George farewell as the three riders disappeared into the store to get refueled. By this time I also knew that 99 riders of 106 had passed through Checkpoint #1. The roads were dry, the B Roads were rideable, and there really wasn't much to stop the rider's progress as of this point beyond the hills which were ever present. Was this going to be like last year where we had 31 finishers? It was shaping up that way as far as I could tell standing there at the Casey's before the noon hour. I did know that one of the course's toughest sections was upcoming. A long Northward, super hilly road with a brief break West, then North and mostly Eastward over some very hilly terrain to Checkpoint #2. Secretly I was hoping the wind would become something of a factor so the ride would have some more elements of challenge, you know, turn the screws down a bit, but what happened after I left North English was far more than I could ever have imagined. Out North of town I stopped the truck to get a few images and I noticed that the screws had been turned down a bit more. The wind was now definitely going to be a factor. The second group into the North English convenience store. Image by Wally Kilburg. Later I was texted by Wally and told that they were at the bottom of the B Road before Checkpoint #2 and would be waiting for me. They said it was totally dry. 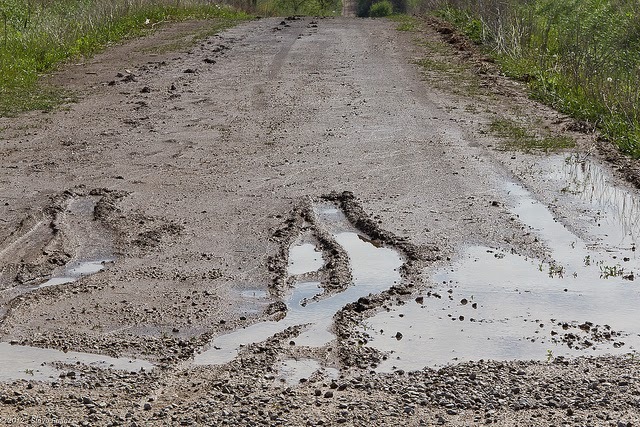 I drove down gingerly nonetheless since there were ruts and bumps eroded into the road from the recent rain run off. As I turned down into the valley there were Wally and George kicking back on lawn chairs as if they were at a back yard barbeque! I stopped and we chatted for a bit, but I decided to roll on to Checkpoint #2 and see how Jeremy and Scott were doing. Apparently they were a bit anxious for me to arrive so some Guinness could be consumed! I also wanted to catch them up on the DNF's so far into the event. There weren't very many either! When I pulled into the Checkpoint I opened my door and when I stepped out I just about was knocked over by a tremendous gale. I was flabbergasted! The wind had at least doubled in its intensity since I had last been out of the truck in the open. The valley where I saw Wally and George was too protected to get any kind of a read on the wind, so I was not prepared for what met me at Checkpoint #2, and many riders never even got that far due to the heavy winds. My iPhone alarm goes off and I jump up out of my borrowed bed and get dressed. Coop is already flitting about getting kitted up for his ride in T.I.V10. He can't find his jersey, but seems to have decided upon another. I brush my teeth and Coop then offers me a couple of organic granola bars which I take and check off the box in my mental notebook which called for something to eat for breakfast. In fact, I eat one of them right away. I turned down an offer of coffee. Water is consumed instead as I had forgotten to drink any the entire day until the pre-race meeting and I was borderline dehydrated already. That taken care of, I take leave of Coop and jump in the truck, fire it up, drive around the block, and see a few racers already plying the deserted streets of Grinnell's downtown area. I am not a bit surprised by that. I jump out and familiar faces start showing up. I am engaged in conversations with several old and new Trans Iowa folks. I really have come to enjoy this part of Trans Iowa. It's an unspoken thing, but I realize that this may be the last time I see many of them for quite awhile, unless, perchance they finish, and then the conversations might be picked up in about a day and a half from then. A day and a half to go until the end of Trans Iowa?!! I begin the usual line 'em up routine when I see a couple of squad cars swoosh into view ahead of the assembled bikers. I walk up and approach the rear-most car and I spy a slight figured female officer in the drivers seat. She looks barely old enough to be in a car, let alone be a law enforcement officer, but hey! I am getting on in years! I ask her what is up, and she calmly lets me know they are there to blockade the two highways we have to cross to get out of town. I was a bit surprised by this, because last year the police didn't want anything to do with this and I figured it would be much the same this year. This news elated me as now there would be no need to have volunteers doing it. I walked back and informed the racers of the new-to-me development and commence the countdown. I hop into the truck with a minute to go, buckle up, set the flashers, and toot the horn at 4:00am. We're off on this little adventure once again. I used to feel a strange sense of trepidation when the horn was tooted back in the beginning, but anymore it is just a simple act and "here we go! ", so I found it strange when it felt like a "normal thing" to be leading out a 100+ strong throng of cyclists to the edge of town so that they could ride 300+ miles of gravel. I guess I knew what to expect. That was that there would be the typical rider chatter as we slowly rolled through the darkened neighborhoods to get to the countryside. Interestingly, those "Chatty Cathy's" became rather silent as the gravel road approached! I made the left turn, gunned the throttle, and roared off Northward on 20th with a stream of LED lights in my rear view mirror. A couple hills later it was just a glow in the distance. 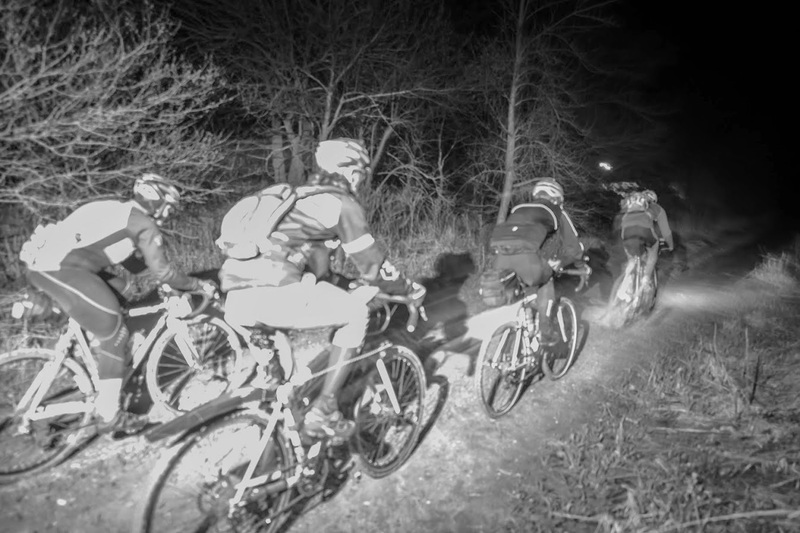 Oddly enough, that glow of a 100+ riders could be seen for miles away. It was as if a small city and its light pollution was following me down the rural by-ways. I was cruising along with no real sense of purpose since I knew the roads were okay. I decided to skip around the B Road which was just seven miles into the course, and then I got disoriented a bit. I was off course for awhile, but managed to get myself back again. It was about this time that I found out I had forgotten a flash light to see the street signs with. Dang it! That slowed me way down since I had to aim the lights of the truck at the signs to see them. I didn't let it get to me too much as I knew the Sun would be illuminating things soon enough. Suddenly, just after a Left turn to head Southward, I noticed a tongue of fire in my periphery vision to my left. What the.......?!!! What's on fire so high up in the sky? It was the waning crescent moon. Too bad I don't own a camera with a "long lens"! I stopped the truck and just gazed at it for a long time. I'd never seen anything like that in my life, and I've been up at all hours a lot in the past. (No.....I won't say what I was doing!) A little later on, Venus joined in and it was even more spectacular. About this time Wally texted me and said, "Half the riders rode the first B Road!" This wasn't too surprising to me, as I could also see that what had been soft and mushy on the roads the day before was now rock hard. Moisture in the roads was going to be a non-factor in the early going of T.I.V10. The temperature, at 3:00am when I awoke was warm enough to go out in shirt sleeves and there was no wind. However; by the time the Sun was about to rise, an Easterly breeze had arisen and the air was chilly. Still, the skies were clear and it was obvious that it would start out being a great day to ride a bicycle. I camped out at the top of a long hill with a valley behind me to another distant hilltop. I figured it would be a great place to wait for the leaders to show up. In the meantime I enjoyed the warbling of various songbirds, the light breezes, and the rising of the Sun. I thought about that old saw, "Red Sky at Night, Sailor's Delight! Red Sky in the Morning, Sailors Take Warning!" I tried to rationalize that it didn't look like we had clouds and we'd be okay. The forecast was saying something different though. Oh well! It didn't matter! What would happen later would happen. I tried to just enjoy the moment I was in. I waited for the lead group and in the meantime, a couple of DNF's happen. Nothing out of the ordinary, except that one of them is my good friend Ari. I knew he was injured coming into Trans Iowa, but I was bummed that he wouldn't get to see much of the course this time around. Then I saw the leaders crest the hill and slowly descend into the valley. I grabbed my camera and set up a shot. I then hightailed it to checkpoint number one and I was anxious to see my volunteers. So far, so good. Trans Iowa v10 was well underway, and things were looking fine at that point. But, you never know about this event! Friday April 25th, 2014: After months of preparations, planning, and efforts on the parts of myself and others, Trans Iowa was set to go. All I had to do was to load up the truck and drive down to Grinnell to set the ball in motion. Anytime Trans Iowa comes around for me, I have a lot of concerns and feelings going on inside of me that make staying focused a bit harder to do. Fortunately everything had gone smoothly and the day was a perfect day to travel on. That helped a lot! I can't say I was calm, but it was not a high stress morning. 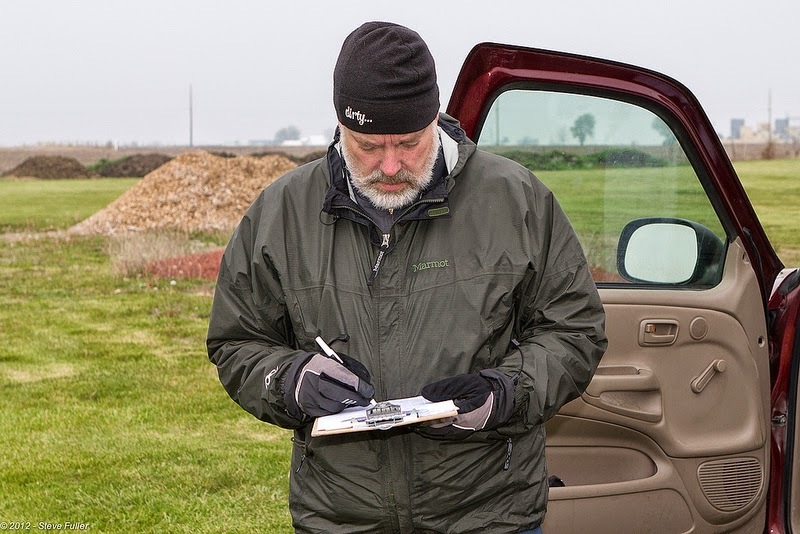 I gassed up the Truck With No Name, settled into the seat, and took off down some back roads to get to the Trans Iowa course to check out the opening miles and verify that there would be no surprises on Saturday morning. The drive was uneventful and I started the recon at 11:30 am, ahead of schedule, which was good. On Friday, the roads were soft yet. I was concerned about the roads since on Wednesday and Thursday we had continuous rain and I figured things would be somewhat sloppy around Grinnell. However; I found that the roads were rutted and a bit torn up, but not very sloppy at all. In fact, they were just soft and felt mushy in spots. With a full day of Sun on tap, and temperatures into the 70's, I figured that these roads would only get better. The B Roads were another story. I figured there would be no way that they would be dry enough to ride a bicycle on. However; when I took a peek at the back end of the very first section, I thought that it didn't look too bad at all. Still, I wasn't thinking that the road would be rideable by the time the event started. I also saw the rail road track crossings had gotten worse. I made a note to make a special mention of that at the Pre-Race Meat-Up. The rest of the roads going into checkpoint #1 were pavement-like in their smoothness. It was uncannily dry as well. The consistency of these roads was hard and level with little rock at all. The riders would fly on this part! Other than that discovery, the entire first leg was okay and no surprises were discovered. Brent Irish and The Slender Fungus Cycling association stuff bags and help set up the Pre-Race Meat-Up. When I arrived back at the Steakhouse it was a little after 2:00pm, almost a full hour before I was supposed to be there. (See a pattern developing here?) I unloaded the truck and started setting things up. As I was busy, some of the Slender Fungus guys showed up, Bonk King, Gummy, TJ and then Brent Irish all were there to help out. I decided not to stuff the race bags, as I have done in the past, and I let those guys handle it. I went about setting up the check-in table where riders would be picking up race numbers and signing the waivers. The Steakhouse personnel were firing up the charcoal grill for us as we set up. The set up went super smoothly and by the time riders started showing up with support folks, it was about 3:50pm. Wally and George showed up and manned the check-in while I stood and greeted the riders lining up to sign in. I have to say that it went really, really well as we had nearly everyone signed on by 5:30pm with only a handful left to go. In the end we had only a few no-shows. 106 riders signed on and were eating away and by 6:00pm they were all in the meeting room waiting for the rider's meeting to begin. I got in there and started things up with a few words. Then the requisite rider call up. The prizing we usually raffle, but there was so much I decided to do a "prize table style" where each rider called up got to pick one item from the table. There were a few leftovers, but that worked out great. Coop has a really nice loft apartment! The meeting was over in record time since things went so well. 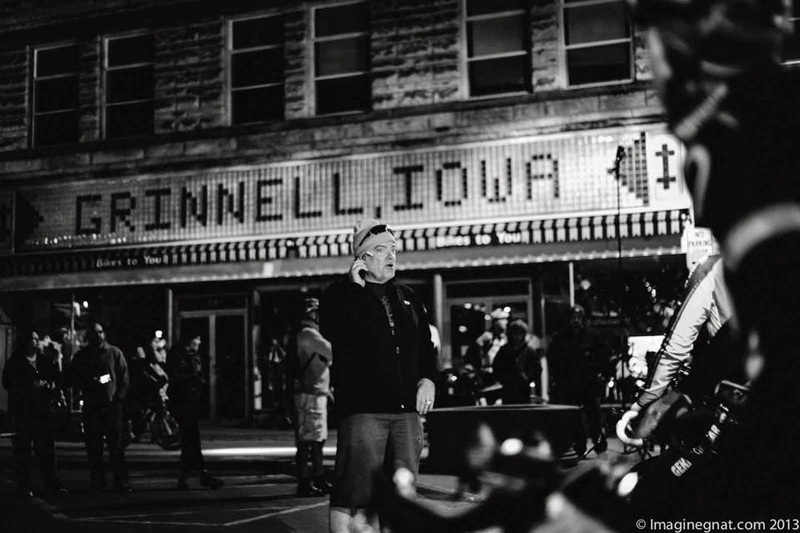 I packed up the gear and headed down to the gas station to top off the tank for the following day's driving, and headed down to Bike's To You to see Coop, who was riding in Trans Iowa. He sold a bike while I was there to a fellow Trans Iowa rider and then we went up to his loft apartment, chatted about a few things, and I hit the hay early. 106 riders is the most we've ever had at a Trans Iowa. It was like having two year's worth of rosters in one! The crowd was upbeat, and when they left I was pretty pleased by the turnout. It was a good field and the event would be fun to watch unfold. Volunteers were all set to go. Materials were handed out, and all we had to do was lead the racers out of town in a very short time from then to have Trans Iowa V10 underway. Trans Iowa V10 is in the books. I still haven't grasped that quite yet. I am still on an adrenaline and emotional high from it even after being awake for 42 hours as I write this. There will be so much to say about this one: The Wind, The Hills, The Lightning!! For now I want to just get out my thanks and some pertinent details. First up, let's give you the results of this year's event. 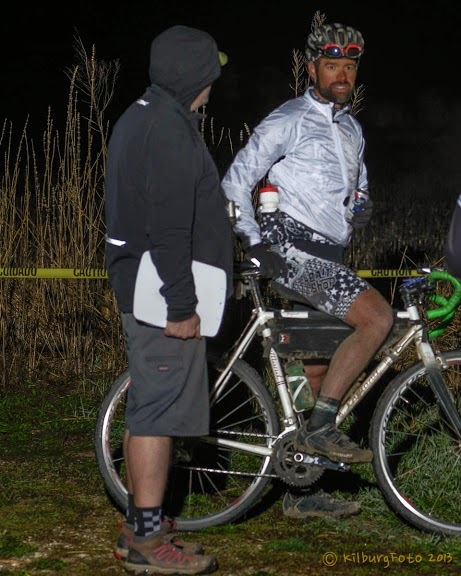 The event was 336 miles, even with the re-route, and in my considered opinion was the most difficult mix of course and conditions ever in Trans Iowa's history. Yes......V2 was horrendous and V6 was terrible, but neither of those years went the full distance and this one did. With the exception of snow, (and there are some riders who thought they saw some! ), this event had it all in one helping. A big, enormous smorgasbord of pain and suffering mixed with fun and adventure. Trans Iowa V10 is about to happen. At 4:00am CST on Saturday morning about 100 guys and gals will be heading out on the roads from Grinnell Iowa to find their way, (hopefully), to Checkpoint #1, approximately 54 miles away. It won't be an easy ride. There will likely be mud, and wet roads, and certainly some wind involved somewhere along the route. Oh yes......and it will be very dark out until about 5:45am. 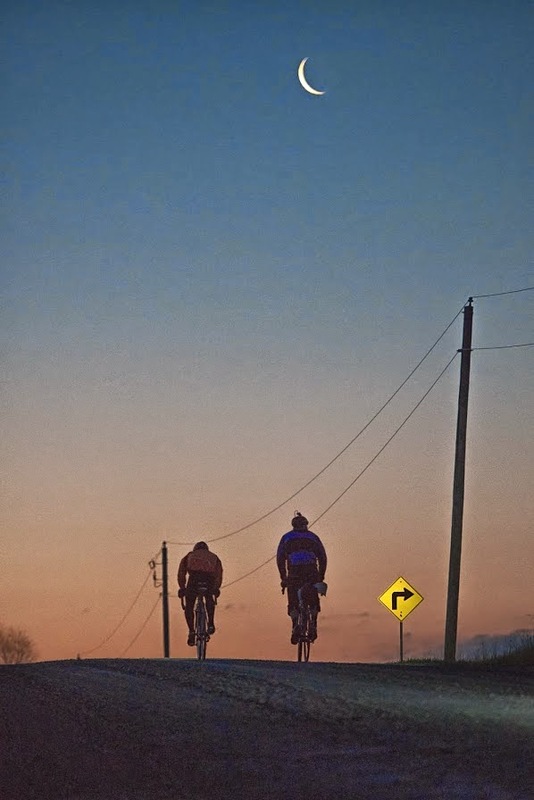 Then the dawn will slowly enlighten the roads, and the riders will be seeing their first sunrise of two possible on Trans Iowa's long, 336 mile, 34 hour time limit route. And me? I'll be bouncing around in my truck, wandering along at a steady pace. It isn't much trying to sort out who is in the lead or what not when it is dark. All you can catch are the blazing LED's as they whisk themselves along the gravel roads. Number plates or recognizable faces cannot be discerned in the rural blackness until the Sun starts to blush in the Eastern sky anyway, so I just have fun by myself along the way in the dark. So, a lot of folks will be wondering what the heck I am thinking is going to happen with the event this time. Who looks good? What will the conditions be like this time? What will ten B Roads do to the pace of the event? You never know who is going to put all the right pieces together to pull off a win at Trans Iowa. The "heavy hitters" could all have issues, like they did in V7 and V9, and someone that just kept pedaling and stayed on top of their bike could end up taking the big prize. This time I feel that the person with a high degree of mental toughness has just as much a chance to "win" as the highly trained athlete. It's going to take incredible mental fortitude and wise decision making in the darkest hours to pull out the "W" this year. 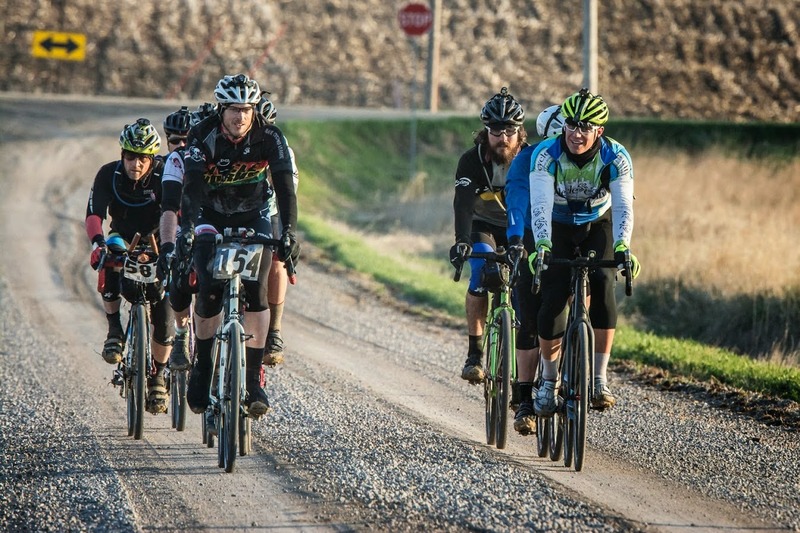 We're going to see some gritty performances for sure, and the roads and weather will shape this year's Trans Iowa in a much stronger way than they did last year. In fact, anybody that rides this one will be a "winner" in my view. This time the stakes will be higher and the challenge a bit tougher to chew. Well, that's my take. Of course, as I said, I know the course. I have stated it has 10 B Maintenance roads in it. I think last year we had maybe three and they were all bone dry but for one, easily navigated mud hole just before Checkpoint #2. Last year we had almost no wind. Last year it was beautiful during the day, and the only difficulty worth mentioning was the miles of overnight fresh gravel and cold temperatures. I don't mean to diminish the accomplishments of any of last year's 31 finishers, but with a little added headwind and a little added moisture, the finishing rate would certainly have been lower. It's going to be an interesting weekend. See ya on the other side, folks! How wet will it get? Last night I finished off doing the cue sheets, a big hurdle that has been jumped, and now it is all downhill to Trans Iowa V10 and the start at 4:00am in Grinnell, Iowa. The Barn: There is a barn located three miles west of Grinnell on Jacob Ave where we will be having the finish line. Starting Saturday evening, you can come out, hang out, camp out, grill out, and generally hob-nob with other support folks and Trans Iowa fans if you want to. I already am aware of at least a handful of individuals that will be hanging around out there, so please do check it out. If you have a car to park, please do so at the Nature Area just past the barn to the West where the road makes a 90° turn South up on a hill. There are restrooms there and plenty of parking on a gravel lot. If anyone can finish Trans Iowa this year I expect that won't happen until shortly after sunrise on Sunday. Pre-Race Meat-Up: If you are riding in Trans Iowa v10, be on time for rider check in which MUST BE DONE BY 6pm SHARP at the GRINNELL STEAKHOUSE!! You can start filing in to eat by 4pm, and I highly suggest that the earlier you get there the better. Anyone in the area that wants to stop in to eat with us is certainly welcome to come and meet the racers. The Start: In front of Bikes To You at 921 Broad Street at 4:00AM. Riders should show up by 3:30am and we will be lining you up at 3:50am for the roll out. Spectators are welcome. 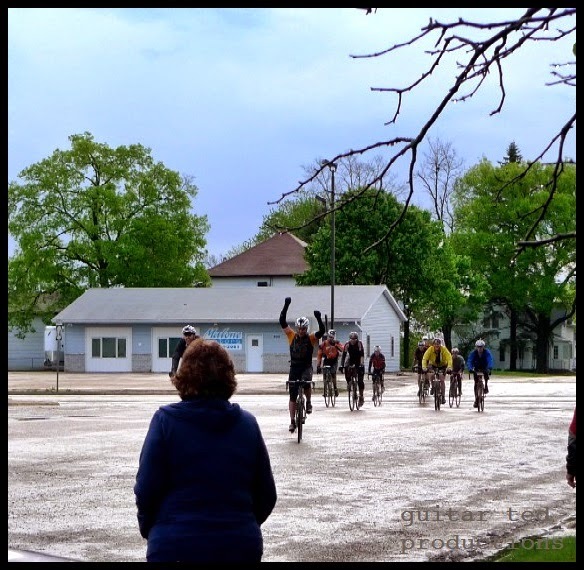 Trans Iowa Radio: Trans Iowa is not a spectator sport and people are discouraged to be out looking for riders, as this is seen as breaking the rules of "no support/self support" the event is based upon. To get a read on what is going down, we have worked out a deal again with Mountain Bike Radio to air rider call-ins and my updates on their Trans Iowa Radio Page. Riders are encouraged to use the phone number provided on that page to call in during the event and give brief updates. I will also be giving my viewpoint on the goings on as I cruise the course over the 34 hours of the event. Stay tuned for a new update later today on the Pre-event outlook. Imagery: Of course, the images of Trans Iowa are always a very popular thing, and with the weather being what it looks to be for this one, the images should really be fantastic. Our event photographer, Wally Kilburg is researching and testing ideas to grab some great stuff out there this weekend. Look for some tasty shots from him later after the event. However; if you just can't wait that long, I will be posting some cheesy shots from my amateur viewpoint on Facebook and on Twitter. Just search the hashtag "TIV10" for my updates on social media. Okay, that's a wrap from me on Trans Iowa stuff for now. This weekend expect to see some Trans Iowa images and a couple of audio prompts to go to the Trans Iowa Radio Page. I'll have my News And Views up for tomorrow, which will be heavily Trans Iowa flavored, as you can imagine. Anyway, here's the heads up on the prizing and the meeting. We really need to get the meeting started early, so get to the Steakhouse right at 4pm or shortly after to get checked in if you are eating. See.......we have a metric ton of prizes to raffle off, and it's gonna take time to do it! Raffle items from Wheel Werks, pedalonline.com, Michelin, Shimano, Hammer Nutrition, and more will be up for grabs. Plus everyone riding in T.I.V10 will get a commemorative hat and t-shirt. 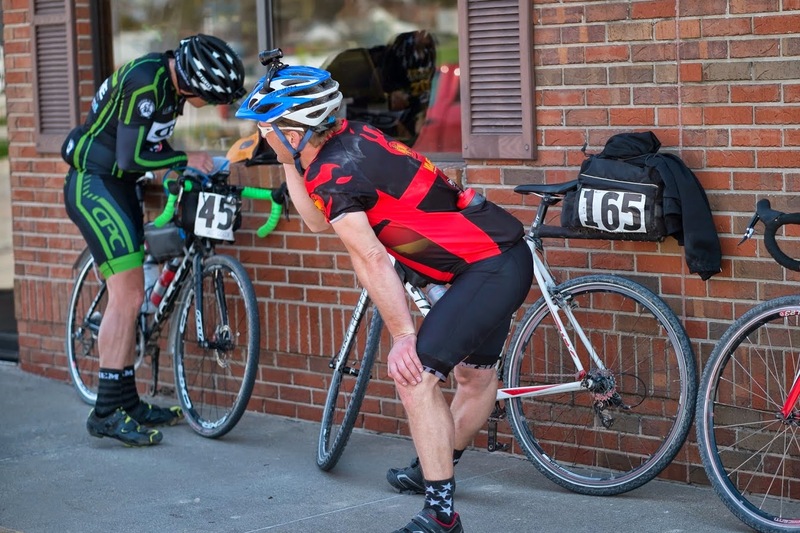 Prizing for placing or competing in Trans Iowa V10 will include Ergon SM3 saddles, Oakley goods, WTB Nano 40 tires, a Surly frameset for the "Most Gritty Ride" from the Slender Fungus, and a set of HED Ardennes+ wheels to the last rider on time to Checkpoint #2. Okay, that has to make T.I.V10 the version with the biggest pile-o-schwag of any of the ten so far. Amazing! Thank you to all of our awesome sponsors! Now for a word or two about the cue sheets. First of all- A Heads Up To All Riders: The cues are in some zip-locs this year that were donated to the cause. These fit the cue cards very snugly. If you are using your own system, and not the baggie the cues come in, disregard this, but please dispose of the zip-loc correctly! Don't be a litter bug, okay! Otherwise, if you were planning on using the baggy the cues come in, just know that you will have to bend the cards in a "U" shape to get them out. It's a tight fit! I have stuffed them all in, so it can be done! There are 4 cue cards to get to Checkpoint #1, six cue cards to get to Checkpoint #2, and eight cue cards to get to the Finish. Finally- Cue Sheets Are For Riders Only!! There will be no "extra cue sheet sets available. None. I will make sure of that. Don't even ask me for any. Captains at the checkpoints will be instructed to keep a very close eye on cue sheets, and any not claimed at checkpoints will be sealed and given to me at a later time. Look- I get it: You want to check in on your racers, check out the scene, yada-yada...... You promise not to get in the way, or to support anyone. Ummmm.......the answer is still NO!! I will not allow for anyone to be directed to Checkpoint #2, nor will I even tell anyone where the course is. Why? Because if I see anyone out on course, I will know that a rider contacted them and that will mean someone is possibly going to get DQ'ed, unless they are dropping out anyway. (Calling in your DNF to me first would be greatly appreciated) I will be cruising around more this year than ever, so keep that in mind folks. (For my take on cheating in Trans Iowa, see this post.) Seeing random cars on course that clearly are not farmers, or that have out of state plates will be a cause for me to investigate, so please- do not even try to go out there. There is, of course, one main exception to the rule, and that is Checkpoint #1. Of course that will be revealed at the time riders pick up their race packets. However; there will be no other revelation made. Checkpoint #1 folks will not even know where the riders are going to....so don't pester them. Only six people know where CP#2 even is now, and I plan on keeping it that way until it happens that folks start dropping out of the event there and call in for rides, which is cool at that point. Bottom Line: Trans Iowa is not a spectator event. Seeing folks on course that the riders may know is defined as support here, and that is not allowed. Please play by the rules folks. 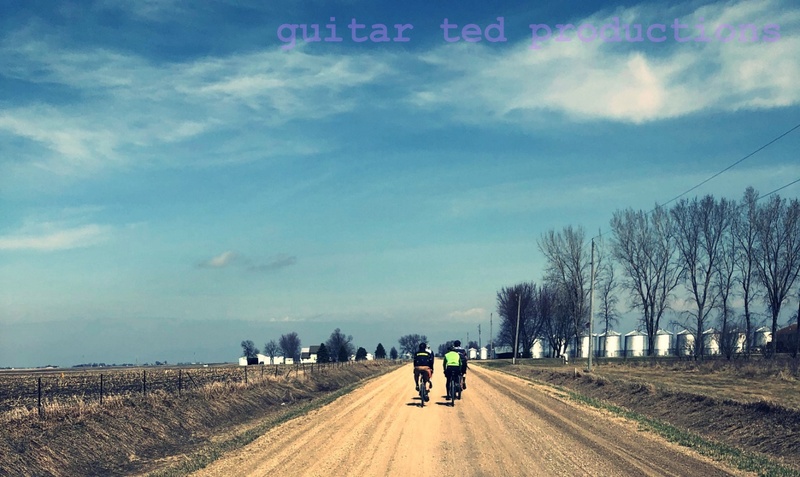 I have allowed for riders to be able to call into Mountain Bike Radio to post on the Trans Iowa Radio page, which is where you'll find my updates as well. Check that out here. If you have the need to know, have your rider call in intermittently, and listen to my and all the other updates. But please- stay off the roads unless you have been asked to pick your rider up. Note: Loyal readers and casual visitors to this blog beware! 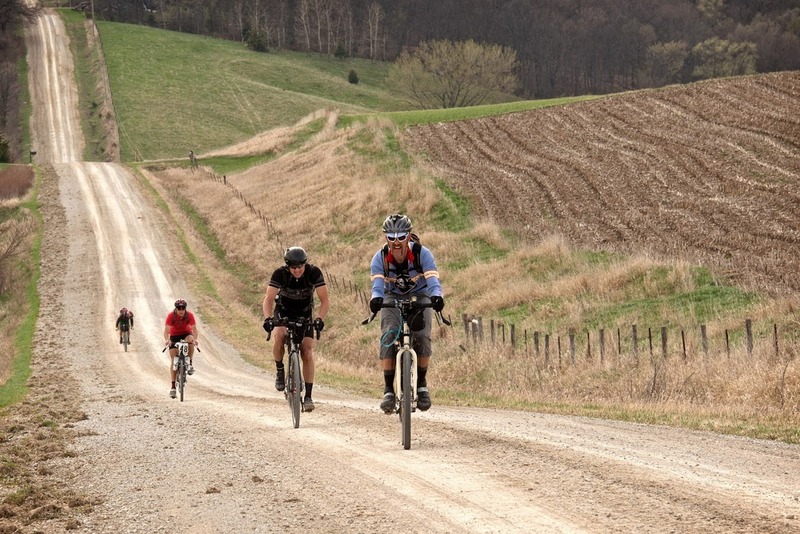 This week is the lead up to my production of the 10th Trans Iowa gravel road event which happens this coming Saturday and Sunday. I have pretty much nothing else going on in my brain that isn't related to this event, so that's the content for the next two weeks, most likely. You've been warned! Well the cues are all printed! WooHoo! One hurdle jumped, but there are others yet to clear before Friday. I will say that getting these printed is a big hurdle to jump through though! Printing took about 500 sheets of card stock, three regular Model 74 HP ink cartridges and one Model 74 x-tra large ink cartridge. With that done, it moves on to the cutting phase. This is another big hurdle, and once it is crossed, the cues are pretty much ready to consume. All I have to do with them is separate them into packets for each rider. Easier said than done though, as trimming down the cues to fit into their baggies takes a lot of manual labor. I'm using the shop's rickety old cutter too, which makes things.........interesting. There definitely is a skill to using this old thing and if you get lazy, it bites back! Not that it cuts me, but rather, it doesn't cut. It just bends the paper instead of cutting it making a mess of things. So far, so good. No ruined cues, but I have already come close. I've gotten as far as getting the cues cut and stuffed for Checkpoint #1 with the exception of about the last 25 sets. Then I'll move on to sets two and three. For the record, there are four cue cards to Checkpoint #1, Six to Checkpoint #2, and eight cue cards to the Finish. Speaking of "finish", I better get on with things so I can! The weekend was awesome here, as far as weather. A lot of folks were busting out their dusty bicycles and getting their creaky legs going roundy-round again after months of stinkin' freezing, unfriendly weather. But not I! Oh no, not I. The big job for the weekend was sandwiched around doing Easter activities at church and with my family West of here. If I had a spare moment, I had the printer fired up and running cue sheets for T.I.V10. While there isn't much hoopla necessary to do a Trans Iowa from my end, the cue sheets are a vital component. Get that wrong, (and in the past, there have been issues), then it gets to be a stressful weekend. Get it right, (as has been the case the past two years of Trans Iowa events), then it becomes a non-issue. I'm hoping for more "non-issue" than the other choice! I've burned through my second toner cartridge....... Need to run out and get some more ink! I used to have this job done "professionally", but seeing as how most print shops don't know what cue sheets are, they can be printed up and you'll never know if something is wrong until it is too late and you've paid your money. (Ex: Trans Iowa V3) Last time I paid a shop to print these it was $75.00 and there weren't as many sheets and not as many cues. Yes- it is tedious to do the cues myself, but I can get them done almost perfectly, check them as I go along, (for the fourth time), and make any necessary changes on the fly with minimal cash detriment, unlike how it would be with a print shop. In fact, I almost changed a cue last night, but after "further review" it was deemed unnecessary. So yeah.......things can change after you have several eyes consider the cues for you! I figured that this year I would acknowledge all the folks behind Trans Iowa now instead of waiting until after the event is over. Trans Iowa doesn't happen without volunteers, and I have had the great fortune and blessing of being supported by some awesome volunteers over the years. This year you can expect to see some more great people at the checkpoints. These folks are doing this job for you for nothing. No pay, no recognition, nuthin. So, if you could please extend courtesy and kindness to these fine folks when you, (if you are riding in T.I.V10), see them at the checkpoints, that would be awesome of you. You should want to be awesome. These folks will be the ones checking you through and getting you new cue sheet sets at the checkpoints. Please have you number plates visible for them, as this is how we are checking through the riders this year. The Barn: The Barn will have some folks hanging out that are also supporting Trans Iowa. I know Rob Versteegh, Jared Morford, and Eric Kemp will be a few of those folks, but there will likely be others as well. Again, the barn is Trans Iowa V10's finish line and Saturday evening hang out. Trans Iowa Radio: Mountain Bike Radio will again be hosting the Trans Iowa Radio page with call ins from riders and reports from myself. This is all facilitated by one individual who mans the controls throughout Trans Iowa's 34 hours. His name is Ben Welnak and if you can support Mountain Bike Radio, please consider it, as he is a talented and great person to work with. Official T.I.V10 Imagery: The Studio At 46 West will be in charge of taking the "official images" of Trans Iowa this year. Look for photographer Wally Kilburg and his assistant, George Keslin out on the course throughout the weekend. Stay tuned after T.I.v10 for an announcement on what will be done with images and how you might be able to get some of them for yourself. Grinnell Steakhouse: Thanks to Laurie and Cindy and all the employees at the Grinnell Steakhouse for graciously providing the meeting room, set up, and space for us to check in riders for Trans Iowa. The Grinnell Steakhouse has always bent over backward for us, and have been awesome to deal with all these years. Please say thanks to them when you come by for the Meat-Up. Miscellaneous: Rachael from the Grinnell Chamber of Commerce, Comfort Inn & Suites of Grinnell, Bikes To You (Craig Cooper), and Jeremy Fry, Wally Kilburg, and George Keslin for course recon help. Only one week to go until Trans Iowa V10! As I think about that, I have several things I would like to express, but there is one thing in particular that I am going to talk about this time. It is a very serious- (to me)- subject, and that subject is cheating. I have seen photographs taken at checkpoints and convenience stores showing individuals connected to riders in the event speaking with and even massaging riders. A clear violation of the intents of Trans Iowa's rules. I have read the race reports where riders are mentioned meeting "loved ones" on course. A definite support mechanism and clearly not allowed in Trans Iowa. So, the first definition of "cheat" was evidenced in past Trans Iowa events. But you know what? So was the second. Those individuals took away something of the Spirit of Trans Iowa from those who were playing by the rules. That really makes me sad. As you get ready next weekend, please consider how you'll run the event. So, what? What can ya do? Well, I learned a valuable lesson last year at T.I.V9. I have a lot of time on my hands. Time I can now use to roll back through the field and check on things. It didn't used to be that way, but after two successful runnings of Trans Iowa, I now know I can afford to be places riders won't expect to see me. Does that mean I will catch the cheaters? Probably not, but.......you never know. If I do, there will be DQ's. Think about that.......is cheating worth it? Remember- support also includes seeing and speaking with "loved ones" or support people not in the event. While I cannot stop riders from calling their support folks just to get encouragement, updates, or what have you, I highly encourage you to not do that as it takes away from the experience for you and others. I know folks invest a lot of time and energy into getting prepared for Trans Iowa. I know it has a special meaning for many. Some of you folks don't get that yet, and maybe you never will, but please don't cheat to gain an advantage over the event, or those you have riding with you. It isn't fair to me, to the other riders, and most of all, it isn't fair to you. Once a dear friend sent me an e-mail that said "Trans Iowa is a gift that you give to others." I feel that is true, but I also know that if anyone cheats, they don't get that "gift". They just don't. Please don't be that person. You don't even have to finish Trans Iowa to "get it". I know that from the e-mails I have saved over the years from those "winners", those "eagles" that soared and found that special thing, even though they didn't finish. The cheaters know who they are, and they didn't get it. Don't be a turkey. Ride right. Do the right thing. Then you will see what I mean. I've been waiting a long time to get this out again! The days are nigh now that I will be out on dirt ribbons in the woods around the area. I have been off the single track for many months and I'm itching to get back on it again. One of the rigs I am excited about is the Singular Buzzard. I got a brief taste of this bike last Fall and early Winter, but besides a ride on gravel with my buddy, MG, the Buzzard has been mostly in roost for the cold months. There may be a new fork in the offing for this rig, and I already swapped out the saddle for a WTB Pure V I got in trade from one of my teammates on the Gent's Race team. The next upgrade will be a pair of the new Ergon GE1 grips which will be a great change on this bike. With that dialed in, I have a couple trails on the radar I need to hit up around the area to see what the potential for this rig really is. I like to ride gravel roads and I also like history. 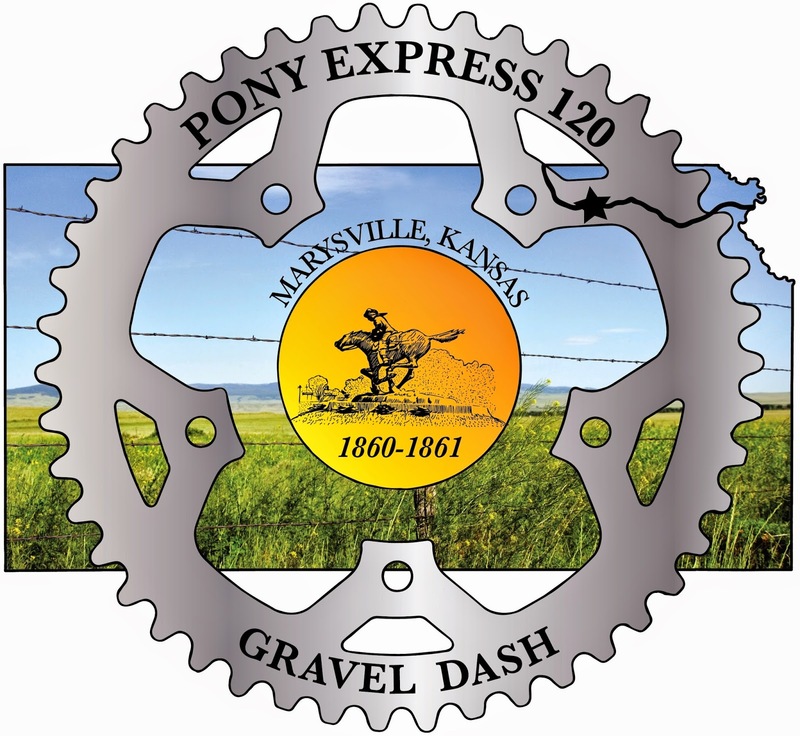 The news about a new Kansas based gravel road event started coming through to me about a month or so ago. My interest was piqued, of course, but later on when I found out that the proposed route had historical touch points I was really interested. This is the sort of thing I really like about gravel road riding. History and dusty roads mixed together! The Pony Express is kind of a weird point in U.S. History. It only lasted for 18 months and of those 18 months not all were done on the entire route. Technology was to blame. The old way was to portage the letters by horseback, which at first cost about 100 bucks per letter! The Pony Express was faster than the old stage coach way, (Ten days from St. Jo to Sacramento), but telegraph lines were going up and sending a telegraph was far faster and far cheaper. The idea of young men, generally in their teens, speeding across the Wild West was quickly romanticized and became part of popular lore. The famous Iowa born William "Buffalo Bill" Cody was a Pony Express rider and his rising fame also helped cement the Pony Express in the minds of the populace. 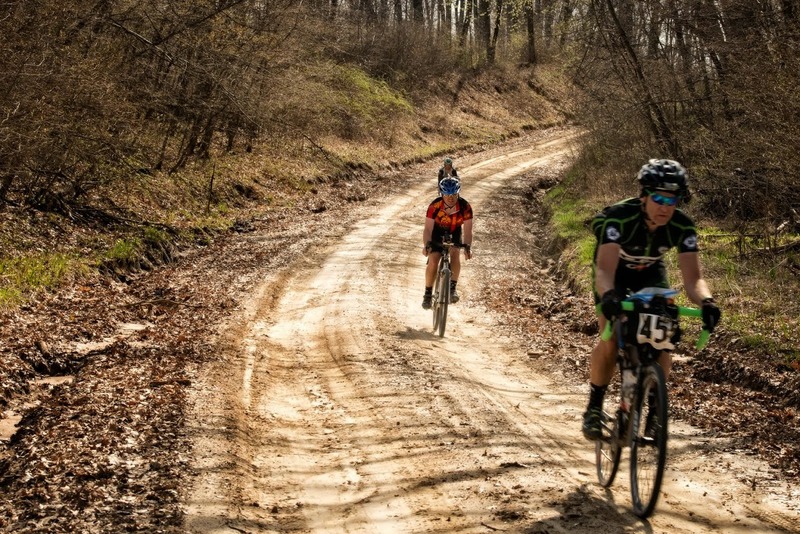 At any rate, we're perpetuating the lore with a gravel road event nowadays! 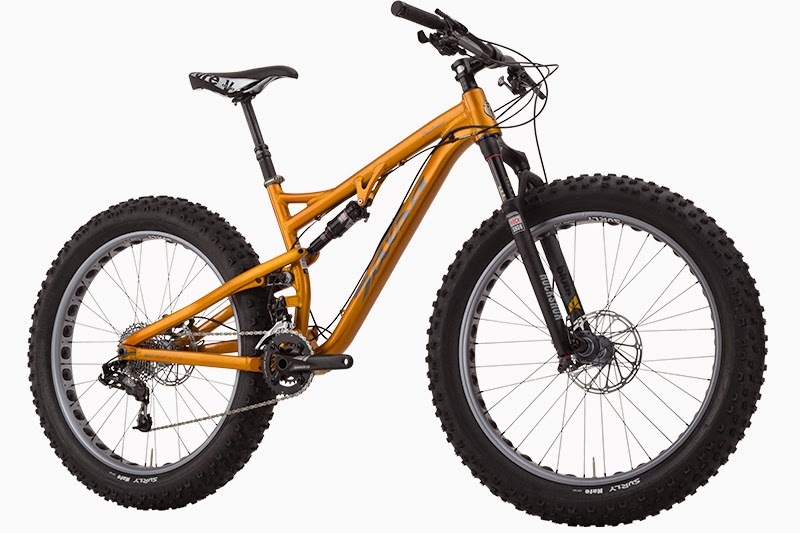 I've been contemplating the new Salsa Cycles fat bike full suspension design since it splashed onto the scene just a week ago now. I really am intrigued by this bike. Well........maybe by the idea of this bike and its potential for future bikes like it. That's probably more accurate. I think the basic Split Pivot part is fine. I've no doubt that Dave Weagle put forth his best effort here and that the bike is executed in such a way that the suspension works decently. My doubts come in when I break down what the Bluto is. While I feel it may be adequate, I do not think it is Rock Shox's best effort in the same way that the rear suspension is Dave Weagle's best effort. I have heard whisperings that a better fork may happen at some point. I think that's where the Bucksaw will really work as advertised. When it gets what it desrves up front. Sure, I get that this is the way it has to be to start. Heck, Salsa had to basically beg for this fork to be made for two years. (They said as much in their story on the Bucksaw's development.) So, you have a "decent" fork in the Bluto. Do you jump in now, or wait? It's intriguing. I really like the whole idea. In my mind, it is a frameset buy. Why? Because I can spec better wheels and tires, which are a huge part of the fat bike's cost and performance potential. Salsa showed a prototype with Whiskey carbon fat bike wheels. This bike deserves them. Oh.......and they better be tubeless compatible. Sticking with 2011 technology isn't going to cut it with a bike of this nature anymore. Think about it. Even the Horsethief and Spearfish come with Stan's NoTubes rims. Any full suspension bike worth its salt has tubeless ready rims these days. So while I really like the concept, I am not convinced on the total package's execution yet. Not on the surface of it as it stands today. But as they say, "specification subject to change". Hopefully it gets tweaked for the better here. That's it for today. Have a great weekend! Get out and ride those bikes and find the Easter Bunny! Trans Iowa V10: Two Weeks Till Go Time! Friday News And Views: The "Sea Weasel Edition"